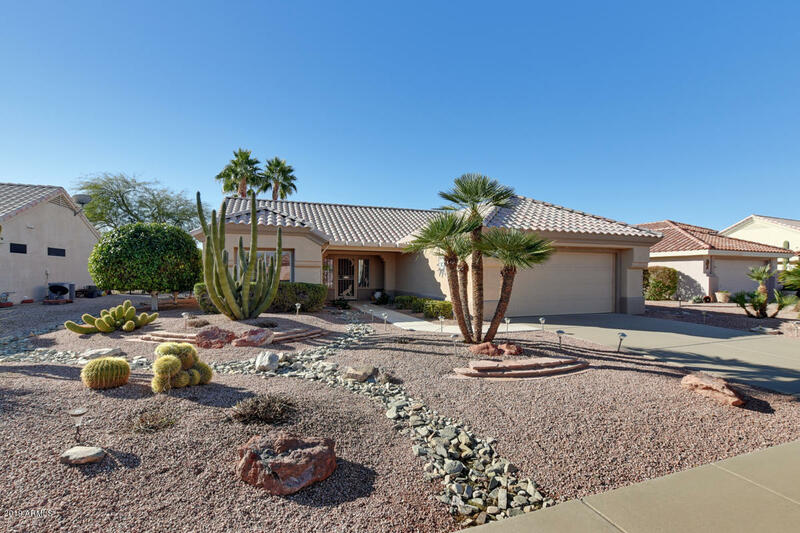 This meticulously cared for Rio Verde boasts the popular split floor plan and open kitchen. The master bath has a newly customized master closet to maximize usage, newer, modern lighting fixtures, dual vanity, & modern tile flooring. The master bedroom has a large bay window allowing light to pass through the pot shelf to the master bathroom. The kitchen has beautiful granite countertops, a stainless steel sink & a brushed nickel faucet, pot shelves & a breakfast bar. Both the back patio and front porch are covered and look out onto beautiful, mature landscaping including 3 fruit trees on the side. While the N/S exposure already keeps the home cool, it also has the added bonus of Plantation Shutters throughout! Hurry out to be the first to view this beautiful home. It won't last long!